Maroon 5, Lady Gaga, Bruno Mars, Avril Lavigne, LMFAO…Let’s Sing, the karaoke game for PC that you’re not about to forget! Pump up the volume and party in your living room with friends and family! Plug in two mics at the same time and give your best performance singing duos. Surprise everyone when you share your performances on Facebook! The built-in voice recognition feature will allow everyone to have fun and improve their singing skills, whatever their level… So, what are you waiting for? Go for it and become THE star of stars!! 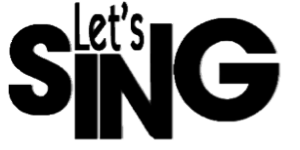 Let’s Sing is scheduled for release on December 12, 2012 for PC on downloading platforms such as Amazon, UPlay, Gamersgate or directly on www.lets-sing.net at the price of $29.99. Volxer Games, is a renowned publisher and developer of musical games such as Let’s Sing and Dance or Let’s Sing for Microsoft Xbox 360® or Nintendo Wii™: Let’s Sing is the company’s first Karaoke game for PC. More information can be found on www.voxler.fr.